bx92Miyzm9HEFkaEhYzly8BCg8g ~Mommy's Moments~: Karen Foster's Exclusive Black Friday / Cyber Monday Offer! Karen Foster's Exclusive Black Friday / Cyber Monday Offer! 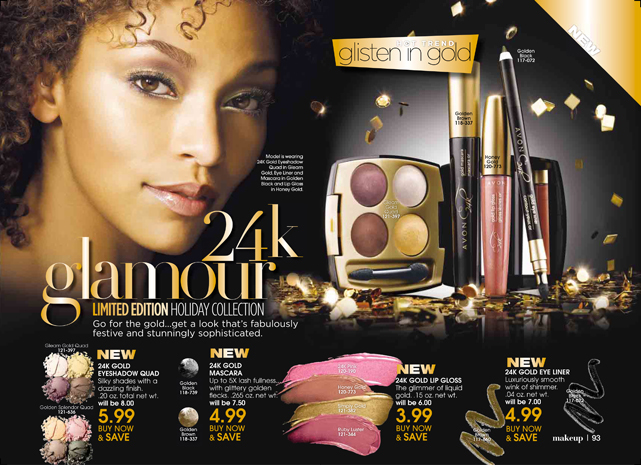 Order $30 or more between Now ... through Black Friday & Cyber Monday and you'll receive one item from AVON's new Ultra Color Rich 24K Gold Collection for FREE! Valued up to $8.00! A. Eye Liner - A luxuriously smooth wink of shimmer. B. Mascara - Up to 5X lash fullness... with glittery golden flecks. C. Lip Gloss - The glimmer of liquid gold. D. Eyeshadow Quad - Silky shades with a dazzling finish. E. Lipstick - Luxuriously creamy color with the richest sparkle ever. The Fine Print: After placing your order of $30 or more, you will get a special email from me. Tell me which free item you'd like and I will mail it to you seperately. Do not add your free item to your shopping cart! This offer is good for all orders received between 12:00 AM PST, Nov 23 and 11:59 PM PST, Nov 29.
i'm your newest follower from the relax and make friends new blog hop! i'd love for you to come by my blog and follow back!